Sao was born on January 18, 2004. 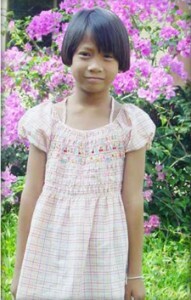 Her mother passed away when Sao was only four years old due to alcoholism. Her father scavenges at the garbage dump. When he became ill, the Social Services Department brought her to the shelter home. She will be attending Year 1 in primary school.